Howdy, y’all. McEric with my hot take on a fresh viewing of THE AMITYVILLE MURDERS, the brand new re-telling of the classic true-events horror story brought to us by Daniel Farrands and the good people at Skyline Entertainment. If you’re keeping count, this would be the 21st entry in the Amityville saga, making it one of the most lasting properties in horror cinema. And rightfully so; the house at 112 Ocean Avenue, with its foreboding eyelet windows, is one of the most iconic villains in cinematic history, along with Darth Vader’s mask and CHILD’S PLAY’s Good Guy Doll. You can show a photo or even a crude drawing of it to almost anyone and they can identify it. Its place in cinema is firmly cemented. As well as its place in true crime history. 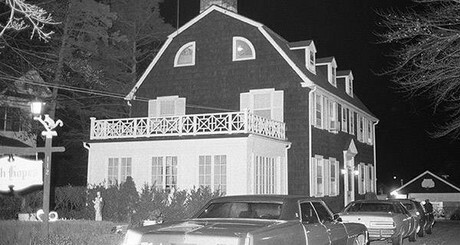 As a story that has been told twenty times previously (and that’s only counting fiction films made of the story; the list grows exponentially when documentaries are added), the Amityville murders are fairly notorious in American folklore. Having taken place in 1974, the DeFeo family’s brutal murder at the hands of their eldest son still sends chills down the spine of those who recall it. So what could we benefit from a twenty-first telling of this story, you ask? Enter Daniel Farrands. Farrands has an impressive horror resume, and has worked with such classic franchises as HALLOWEEN, A NIGHTMARE ON ELM STREET, FRIDAY THE 13TH, and SCREAM. Back in 2000, he wrote two episodes of the prime time true crime anthology series HISTORY’S MYSTERIES about the Amityville incident. That should give you some indication of how long he’s been researching this particular tale, and that depth of focus shines through in this truly superior film. THE AMITYVILLE MURDERS is taught, tense, and undeniably creepy as Hell. John Robinson (ELEPHANT, LORDS OF DOGTOWN) is riveting as Ronald “Butch” DeFeo, Jr, the man sentenced to six life sentences for gunning down his parents and four siblings in the winter of 1974 in the Amityville area of Long Island, NY. With tight close-ups and deliberately bewildering camera work, Farrands showcases Butch’s descent into madness in a dizzying lens, taking the viewer along for the plummet. Robinson’s haunted eyes fill the screen as the viewer finds themselves hoping against historical document for his salvation, and that of his doomed family. Paul Ben-Victor (DAREDEVIL, TRUE ROMANCE, GUN SHY) is pulling from his same hat of tricks for his portrayal of Ronald, Sr, and although we see him as kind of a one-trick pony, it’s a really good trick. Diane Franklin (BETTER OFF DEAD, BILL & TED’S EXCELLENT ADVENTURE) is decadent as the long-suffering matriarch of the DeFeo clan, and it’s a particular treat to see her re-tread this ground after her terrific run in 1982’s AMITYVILLE II: THE POSSESSION. Finally, Chelsea Ricketts (TV’S “Scream Queens”, “True Blood”) is all big eyes and heart and serves as our guide through this carnival of horrors as Dawn DeFeo, the eldest daughter who shares a birthday with her cursed older brother, Butch. Her genuine portrayal as the sliver of light in Butch’s life is beautiful, made all the more tragic by her bitter end, and the grace with which she accepts it. 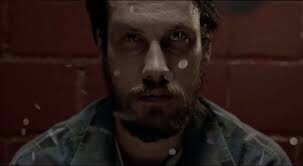 This film is pitch-perfect, terrifying the viewer on two fronts. First, as a true-crime murder re-enactment, it plays out like the worst nightmare of a home invasion, with the added terror that the murderer had been in the house all along. 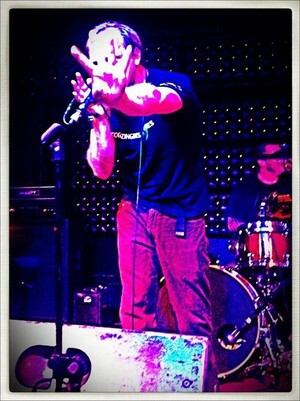 Second, as the haunting of Butch DeFeo. The Supernatural elements are shockingly well-done, and the visuals are stunning. Additionally, the sound design, along with the score, are enough to drive the viewer insane. As Butch is driven to madness, in intricate detail, it’s easy to sympathize with the eventual assassin. His journey is harrowing, and his crimes despicable, though one can’t help but pity the poor fellow as much as condemn him. THE AMITYVILLE MURDERS brings fresh chills and perspectives to a 44-year old murder spree that rocked the nation. Daniel Farrands has written and directed a devil of a tale in this truly spectacular horror film that delivers jump scares, supernatural terror, and genuine emotion. I cannot recommend it highly enough. 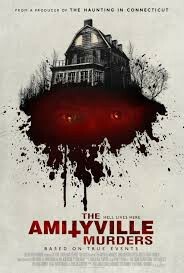 THE AMITYVILLE MURDERS will be released in limited theatrical run and on demand this Friday, February 8th. If you think there’s nothing new to see in this story, think again.